There are a few ways to organize books on a shelf. Books can be organized by genre, alphabetically (by title or author), how tall the book is, or even by color of the jacket of the book. 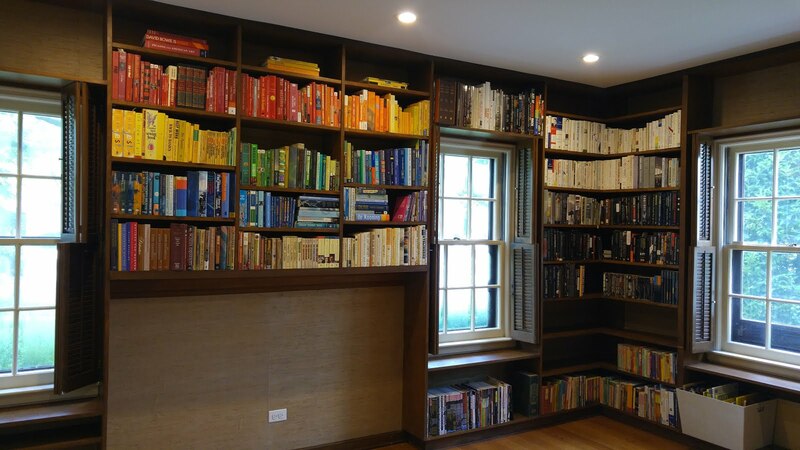 · However, if you’re organizing by size or color and you are looking for a specific book, be aware of how you want it. How you organize it depends on whether you want it to be easy to find or if you want it to look nice. Color coding looks great, but it doesn't always make for quick, easy access to a specific book. Organize it the way that works best for you ultimately, it's your bookshelf. There's no "right" way to do it. Here is a photo of how I organized one of my client's bookshelves. As you can see, it is color coded and organized by height. We did this for showing the house, which was recently put on the market.